Mr. Estis is just over a quarter of the way through a four-year apprenticeship with OCP Contractors, a Holland, Ohio-based construction company. Mr. Trump’s executive order called for the expansion of these types of vocational training programs to address what the White House called a “workforce crisis” in a news release. 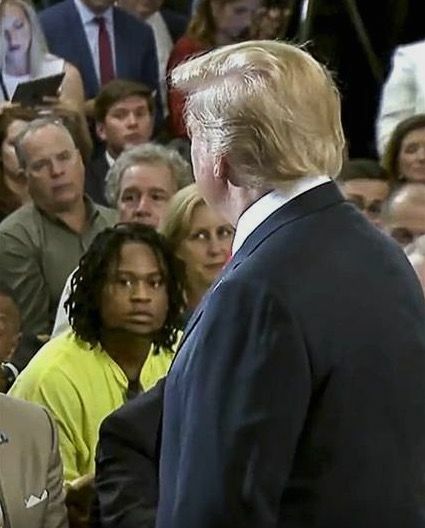 “Trump wanted to [tell] the kids in high school that you don’t have to go to college, you don’t have to get in debt to have a good life,” said Mr. Estis, who played defensive tackle at Whitmer and learned construction at the school’s Career and Technology Center. The executive order called for companies and trade groups to sign a “Pledge to America’s Workers” to expand job education and technical training programs, and established a “National Council for the American Worker” that will examine approaches toward training and retraining workers to fill industry needs. At the White House, Mr. Estis represented the Signatory Wall and Ceiling Contractors Alliance (SWACCA), a one-year-old coalition of contracting companies that has expanded nationwide. SWACCA pledged to provide privately-funded training programs for 50,000 workers on Thursday. SWACCA is affiliated with trade unions like Carpenters Local 351, Mr. Estis's union, and provides private funding to support their training programs. The alliance’s president, Matt Townsend, is also the CEO of OCP, Mr. Estis’s employer. Mr. Estis’s program provides a week of schooling every three months, and pay raises at six-month increments. 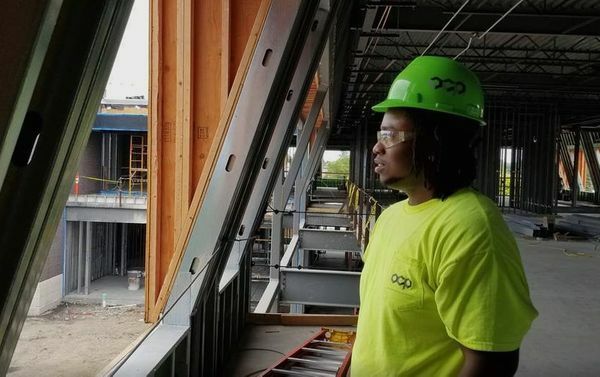 Once he completes his apprenticeship, he hopes to become a project manager for OCP, he said. Nationwide, tuition at two and four-year colleges has more than doubled in the last two decades, after adjusting for inflation, to an average of $22,432, according to the National Center for Education Statistics. Mr. Townsend said the expansion of workforce training could provide more people with a path to self-sufficiency and help companies like his find more skilled workers. According to media reports, nearly two dozen companies and trade organizations have signed Mr. Trump’s pledge. To view the full, original article visit the Toledo Blade.